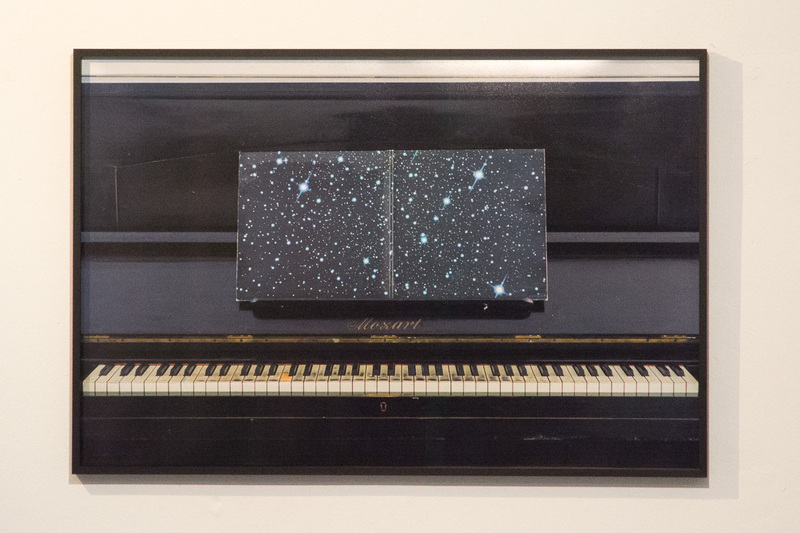 Yuki Jungesblut transfers her score into space in the double sense of the word: In Heavenly (Musical Pieces) an opened LP cover showing a constellation of stars in space is sitting on the note stand of an antique piano instead of a music sheet. The imaginary piano player could encounter a different universe if hitting the right notes. 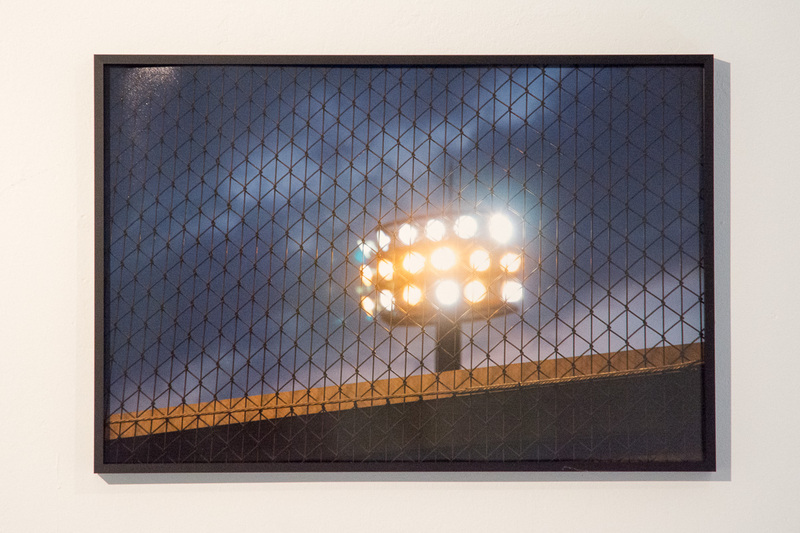 The conceptual, the poetic, the mundane as well as fiction all flow into this, at first sight, simple photograph which under closer observation becomes a more than multilayered image. 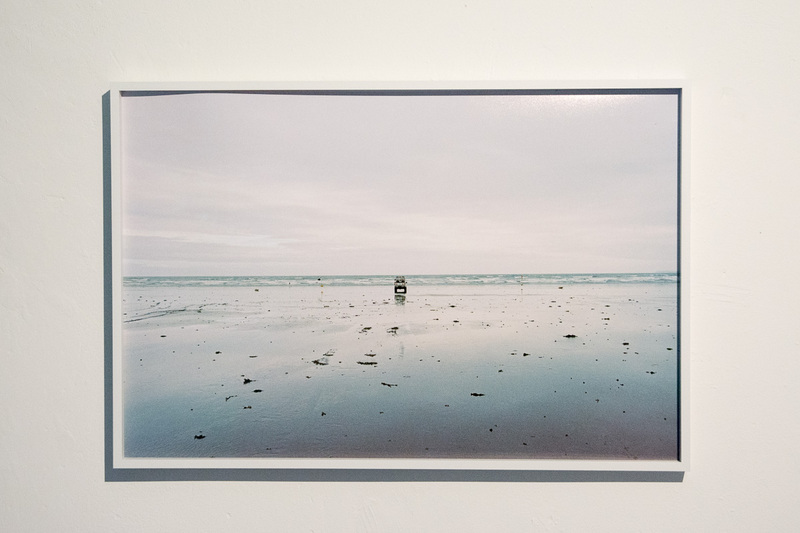 Also in her other two photographs that are shown here, man takes centerstage even if not visible as such: Self-positioning in the vastness of a beach panorama that appears quite fictive and in the face of the narrowness of a wire fence behind (or in front of?) which a flood light shines has at the same time utopian as well as unsettling potential.